The value of working with a credentialed financial planner is that you will experience the full benefit of someone who puts your goals and interests first while providing a framework that is easy to understand and follow. The result is a plan that is as unique to you as your fingerprint. Together, a process that can seem overwhelming is simplified. We will bring order to your financial life, by assisting in getting your financial house in order; at the macro level of investments, insurance, estate, taxes, etc., and also at the micro level of household cash flow. We will help you follow through on financial commitments, by working to prioritize your goals, illustrate the steps you need to take, and regularly review your progress towards achieving them. We bring insights from the outside to help you avoid emotionally driven decisions in important money matters, by being available to consult with you at key moments of decision-making, doing the research necessary to ensure you have all the information, and managing and disclosing any of our own potential conflicts of interest. We work with you to anticipate your life transitions and to be financially prepared for them, by regularly assessing any potential life transitions that might be coming, and creating the action plan necessary to address and manage them ahead of time. We will explore what specific knowledge will be needed to succeed in your situation, by first thoroughly understanding your situation, then providing the necessary resources to facilitate your decisions, and explaining the options and risks associated with each choice. We attempt to help you achieve the best life possible but will work in concert with you, not just for you, to make this possible, by taking the time to clearly understand your background, philosophy, needs and objectives, work collaboratively with you and on your behalf with your permission, and offer transparency around our own costs and compensations. Providing comprehensive financial planning has been the cornerstone of our firm since it’s inception. Our founding partners have 30 years of experience and recognize the importance of having a well thought out plan that is monitored year after year. Defining goals is key so that you know how each financial decision may impact your plan and your future. With an in house planning department of specialist, each client has a dedicated team of CFP professionals who are involved in creating and monitoring their plan. That depth of experience and exposure to a wide range of clients and situations means there is not much we’ve not seen before. 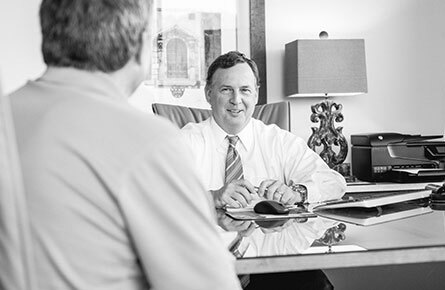 Whether you have retired, contemplating retirement, have estate planning concerns just starting your career, clients benefit from our teams objective and analytical experience. Our investment philosophy and process is built on decades of experience and research anchored in the beliefs that investors should be rewarded for the risks they take, have portfolios that fit their unique objectives, and always have a keen eye towards risk. Markets today are as challenging as ever and we aim to navigate the environment by building low-cost/high-value portfolios utilizing rigorous analysis and monitor portfolios to help our clients strive towards their goal while having peace of mind. Our investment committee, led by Chief Investment Strategist Zach Ivey, CFA, CFP®, consists of eight members and is responsible for the investment recommendations of the firm. In addition, the committee benefits from insights, research, and experience from our other advisors who also contribute greatly to our investment process. We have a growing number of client families where we have the privilege of working with both the parents and their adult children. We learn the goals and concerns of each generation and then make personalized recommendations to assist with the transfer of both money and values from one generation to the next. We also work with young professionals through our Access program, which is a financial planning and coaching package designed for their stage of life.